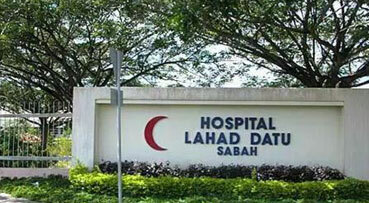 Upgrading of equipment and facilities in the Lahad Datu Hospital will be carried out in stages, said Sabah Health Director Datuk Dr Christina Rundi. She added that besides Lahad Datu, hospitals in other districts had also made similar requests in order to provide the best service to society. “The upgrading process cannot be done in one go and the government is aware of the needs of each hospital in the state,” she told reporters after officiating the 2017 Excellent Service Award and Appreciation Ceremony here today. A total of 350 Health Ministry staff for the Eastern zone (Lahad Datu, Kunak, Semporna and Tawau) and 46 retirees received excellence awards. Christina said the award was a form of encouragement to the recipients who would become role models and mentors to the ministry staff in Sabah.